The Collab Blog: Vive la collaboration! 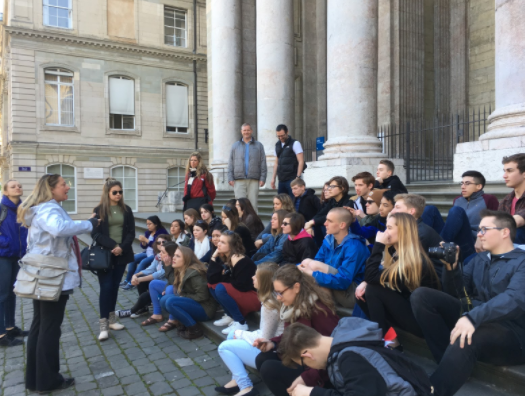 A Language and Cultural Adventure in Europe! Vive la collaboration! A Language and Cultural Adventure in Europe! 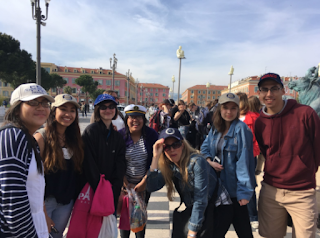 On Thursday March 23rd, 2017 a group of upper level French students, led by Kirsten Fletcher of Elk Grove High School and Sara Kahle-Ruiz of Rolling Meadows, embarked on a whirlwind tour to France, Switzerland and the principality of Monaco. 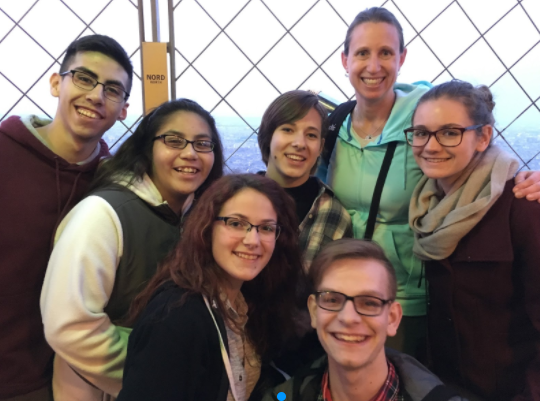 Chaperones included Effie Kalkounos of Elk Grove High School, and Caleb Parnin, Linda Thorson, and Tim Waters of Rolling Meadows High School. The itinerary included the city of lights, Paris and its beautiful landmarks: the Eiffel Tower, Champs-Elysées, L’Arc de Triomphe. Students then took the TGV- Train à Grande Vitesse, France’s bullet train, to Switzerland. Mrs. Kahle-Ruiz had grown up in Switzerland and showed the group many of her favorite sites. Their stops in Switzerland included Geneva and Lausanne where students witnessed firsthand the beautiful Alp mountains. 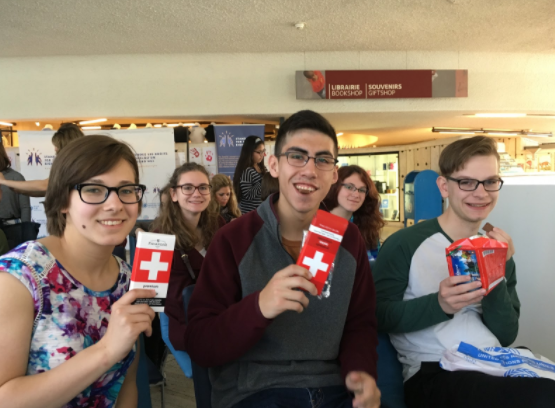 In Geneva, students connected to history and science content as they visited the UN and CERN. 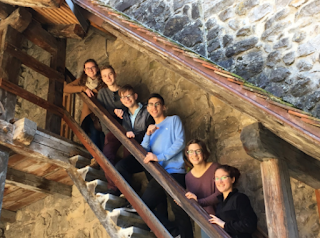 After Switzerland, the group went to Grenoble France, a beautiful mountain town where students saw breathtaking views at the top of the mountains. Then, students stopped in the magical town of Annecy with its pristine lake and backdrop of the Alp mountains. After that, students boarded a bus and were off to the south of France: Provence, which is Mrs. Kalkounos’ favorite part of France! With its sunny climate, exquisite beaches and Mediterranean flair, it is no wonder why people flock to the French Riviera. The weather was gorgeous, sunny and warm. The people were friendly as they tried to coax us into their stores to buy lavender and various other trinkets. The best part of the trip, in my opinion, was the Mediterranean boat cruise in the village of Cassis. The natural beauty of this area was astounding! 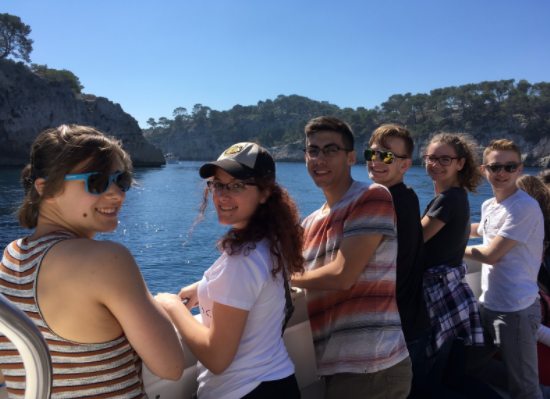 The group finished their trip in Nice. Ah yes, isn’t it nice to be in Nice! The students were able to go to beach and dip their toes in the Mediterranean, walk through the Promenade des Anglais and enjoy lovely French food like salade niçoise, crêpes, croissants au chocolat and more. The group even took the opportunity to see the new Beauty and the Beast movie in French! Because the trip was limited to students currently enrolled in French classes, the tour guide was able to give students a lot of information in French. She interacted with them and encouraged them to speak and read French at every opportunity. Every evening we were treated to authentic French food. 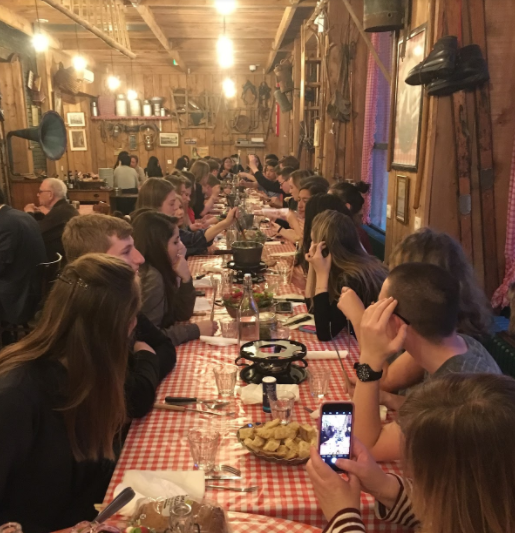 The students who participated in this trip were enthusiastic about trying new foods, using their French, and learning to interact with the local culture. Read on to see what our own students wrote! "This year's trip to France and Switzerland was a wonderful opportunity which built my confidence and taught me how to adapt in a foreign setting. It expanded my cultural sensitivity, teaching me how to act in unfamiliar situations. Simple things like ordering lunch or asking for directions push me out of my comfort zone and taught me to connect with people despite differences. Now I want to become fluent in the French language with the hope of coming back one day and carrying out a full conversation. I'm very thankful for the chance to explore this amazing country and learn about its culture and language." Are Creative Projects a Dying Art?